designed with perfection and precision at MindSpace Digital Signage. 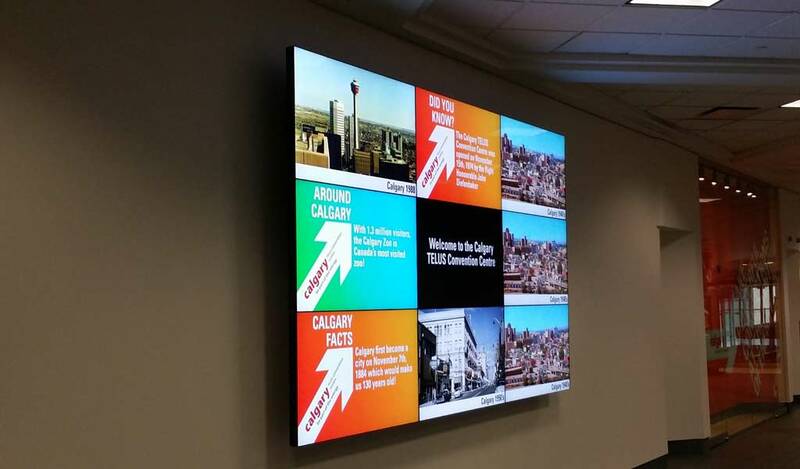 Introducing a video wall is a successful way of instantly grasping people’s attention and consideration. The main advantage of LCD video wall is at huge venues where they can be noticed and viewed from far-away distance. 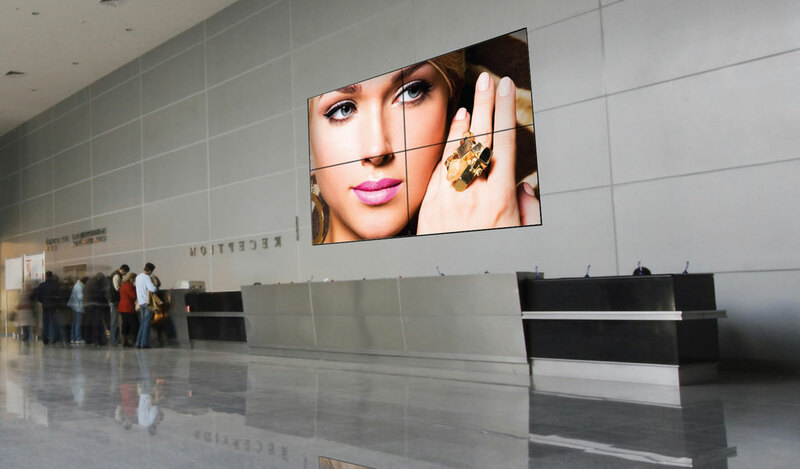 There is a stunning component to video walls due to its size and high pixel quality which brings about clear images and videos that can be watched from far away or at close-up. Other than the undeniable profit of installing an interactive or digital video wall, which results in sales boost, they enhance your company branding, which gives a long haul advantage over your rival. MindSpace Digital Signage is among the exceptional video wall companies creating remarkable video walls in Dubai. We work with brands such as Samsung and LG to deliver the highest quality of Samsung video walls and LG video walls. Our screens come with a super-narrow bezel of 3.5 mm. While introducing and creating a Video wall network, it is crucial to make sure that components like software, hardware and players are appropriate and perfect. With a specific end goal, we guarantee quality images and videos to dodge different technical problems after the installation is completed. We offer excellent services as compared to all other video wall companies and video wall suppliers in Dubai. MindSpace Digital Signage has the experience, knowledge and all the resources to install indoor and outdoor video wall rental and provide 24/7 maintenance. We, being the most efficient video wall suppliers, believe in monitoring and supporting our client’s need. From planning and conceptualizing the idea to creative content development and installation, MindSpace Digital Signage strives to produce top quality results in all our work. Mindspace Digital Signage video wall adapts original A+ LCD panel from SAMSUNG & LG, which brings to you, perfect visual experience. Our high-quality products and customized solutions are widely applied in Retails, Hotels, Exhibition centre, Schools, Hospitals, Banks, etc. around GCC. We keep pace with the ever-changing technology, combined with intelligent and easy-operational video wall controlling system, our LCD video walls are high performers in the market. Video walls are probably one of the most efficient modes of advertising. They let you decide which content has to go up and when. Managing a video wall in Dubai is thus hassle-free and involves not much of an effort. If you focus has been to effectively communicate a message across your audience, be it an offer, discount or any other crucial data, there can be no better means of communication than video wall. Most businesses are opting for a video wall in Dubai for this very reason. What better way to convey any offers or a commercial than uploading and playing them on a video walls. 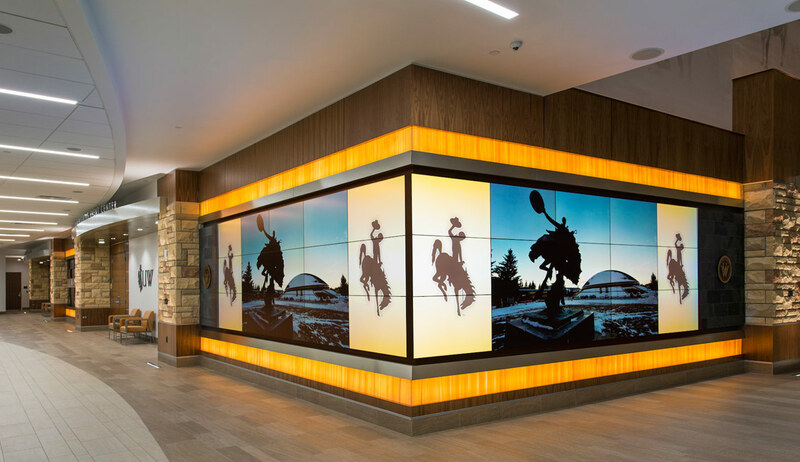 Video walls are the best way to attract your audience and entice them through video walls. We are a well-renowned video wall company in Dubai that ensure to offer you these and a lot of more advantages. Our aim is to help achieve complete customer satisfaction through our wide range of service offerings. LED video wall has been successfully trending in outdoor advertising in the past few years and is a great tool for promotion. From the client’s perspective, it is a marketing opportunity that helps in reaching out to a large audience at the same time with an appropriate message. 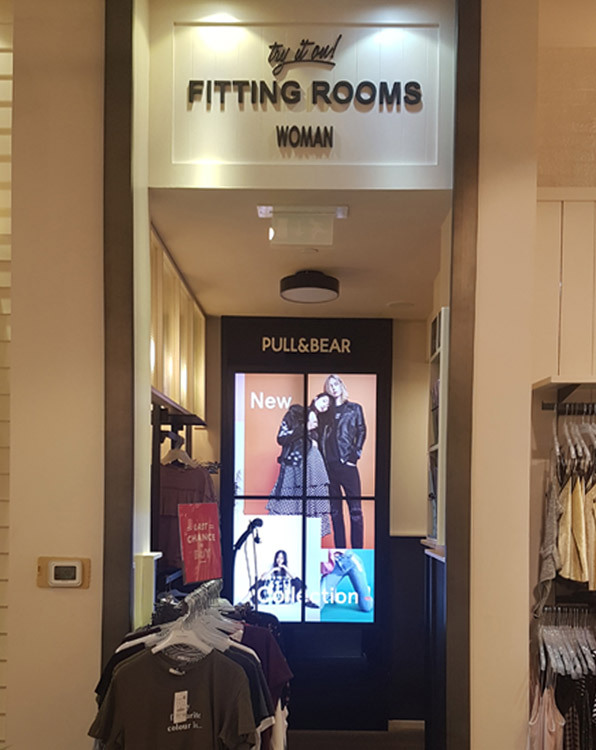 Video Wall is a great branding opportunity for a business as they help in conveying the right message every time you want to communicate to a large target audience and is trending in Dubai. 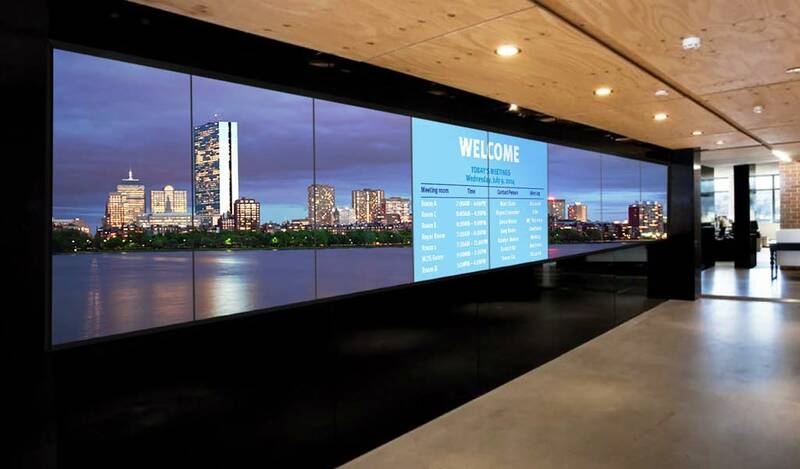 An Interactive and Digital Video Wall is designed in a way in which it reaches a lot of people at a time. It is an attractive tool of marketing that has an extra ordinary component of high pixel quality and a huge screen to be clearly visible to be from a long distance. Video wall companies work as a great way of branding and also help in conveying the message in a very interactive and attractive way. This helps in building a strong brand image and gives your business an impressive reach. Video wall is a successful way of instantly grasping people’s attention. Other than the undeniable profit of installing an interactive or digital video wall, which results in sales boost, they enhance your company branding, which gives a long-haul advantage over your rival. Video walls due to its size and high pixel quality bring out clear images and videos that can be viewed from far away distance or at close-up with unmatched clarity. Mindspace Digital Signage is among the exceptional video wall companies creating remarkable video wall in Dubai. Mindspace Digital Signage has the experience, knowledge and all the resources to install indoor and outdoor video wall and provide 24/7 maintenance support. We, being the most efficient video wall suppliers, believe in monitoring and supporting our client’s need. From planning and conceptualizing the idea to creative content development and installation, Mindspace Digital Signage strives to produce top quality results in all our work. Our quality, reliability, and service are exceptional compared to other Video Wall Companies & Video Wall Suppliers in Dubai / UAE. 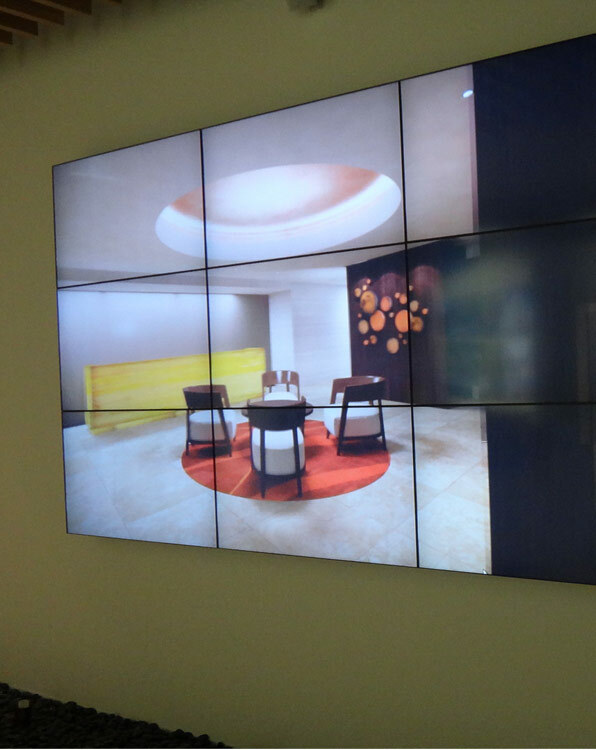 Connected to the internal systems video wall can display any information related to advertising of any goods and services. Engaging message and data can be displayed in an appealing way for the targeted audience to increase effective communications. Interactive experience can be delivered in a unique way with video walls. Your company staff and customers can engage with interesting information. The information and messages displayed help in efficient management without causing any confusion in your company or advertisement of your product.